Hyundai Xcent is a pretty popular compact sedan in Indian market. Introduced in 2014 the compact sedan has garnered a strong positive response from the customers. Based on the Hyundai Grand i10, the car is about to see the introduction of a special edition. 20 years ago the Hyundai India started operation in the country as a subsidiary the South Korean automaker. To celebrate the brand’s two decade in the country the automaker is all set to introduce a special edition model soon. 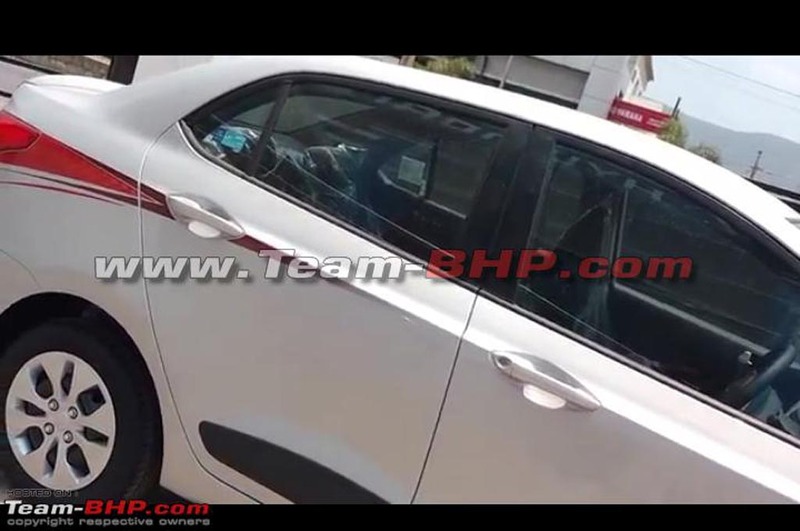 Recently a Hyundai Xcent 20th Anniversary Special Edition has been spotted testing on road. Based on the mid variant S, the special edition Xcent sports several cosmetic ups inside out. Once launched, the car will be available in a limited number. 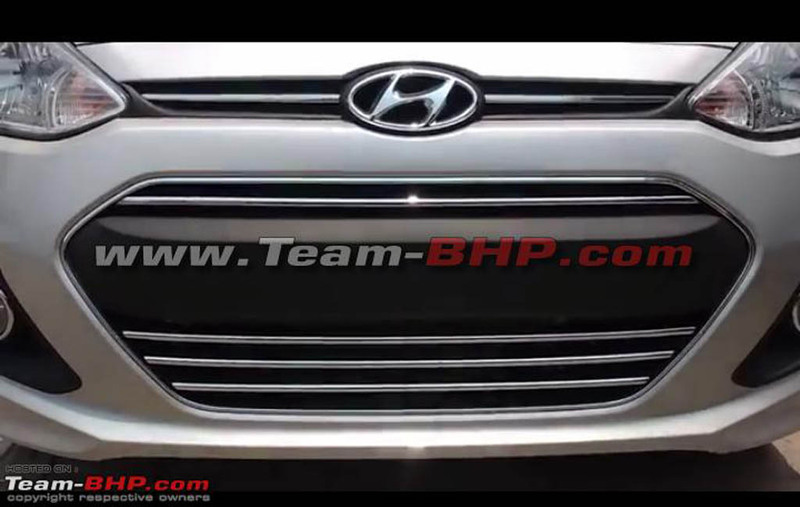 At exterior, the special edition model of the Hyundai Xcent dons chrome slated front grille, secondary air dam up front, while the side body adorns decals and steel wheels, while the rear profile sports spoiler atop the boot lid which incorporates the brake light. 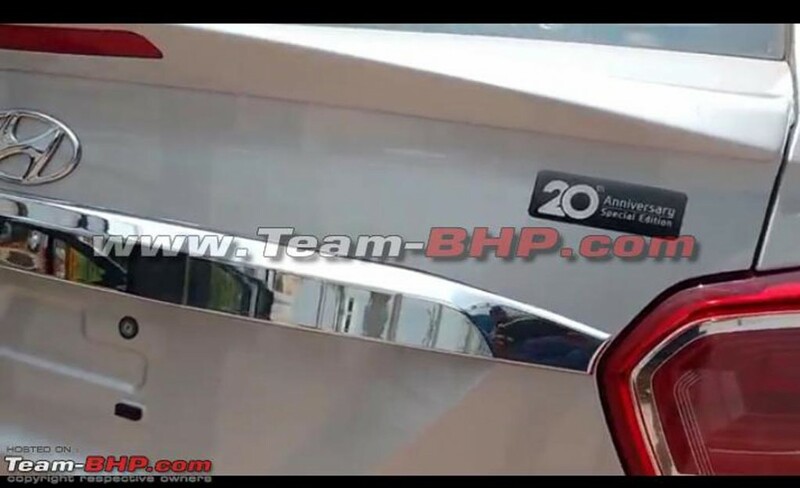 The rear spoiler also comes with chrome strip and a ‘20th Anniversary Special Edition’ badge. Other than these cosmetic updates nothing more is visible at exterior. The interior of the Hyundai Xcent 20th Anniversary Special Edition also received some special features in form of a Blaupunkt touchscreen infotainment system, and a reverse parking camera might also come incorporated to the special edition model. Although several cosmetic updates can be seen at exterior and inside the cabin, but the powertrain remains same. The petrol variant is powered by a 1.2 litre 4 cylinder Kappa 2 engine paired with a 5 speed manual gearbox and churns out 83 PS of peak power and 114 Nm of peak torque. On the diesel front the Hyundai Xcent is powered by a 1.1 litre 3 cylinder U2 engine paired with 5 speed manual transmission generating 70 PS of peak power and 180 Nm of peak torque.